You’ve hopefully already seen this, just throwing it up in case you missed it. 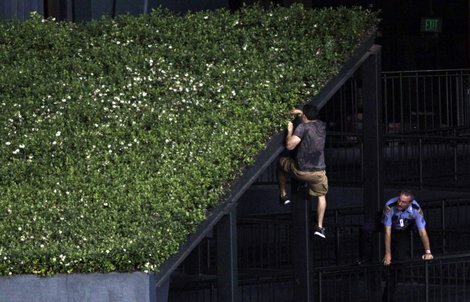 This amazing Astros fan that is clearly drunk and skilled in the art of parkour. Love this dude. Get after it, son. Guess what, opening scene of James Bond’s Casino Royale… this dude watched you, and then exploited you at a Major League Baseball game. This entry was posted in Baseball, Entertainment, Events, MLB, Movies, Sports and tagged Astros fan, Casino Royale, Houston Astros, James Bond, Major League Baseball, Mets, Mets Astros Game, MLB, New York Mets, Parkour. Bookmark the permalink.